Finding that perfect pair of jeans is always troublesome me. Loose somewhere, tight somewhere or giving an unflattering look, we all have been there, done that! I also, have to look into endless pair of denims before i can get my hands on to a pair that makes me feel like I'm a diva. A pair which is not less than an angel came down to the trial room directly from the denim heaven. How many of you have felt like little baby angels singing, harps playing and a that heavenly feeling that comes from finding a perfect pair! 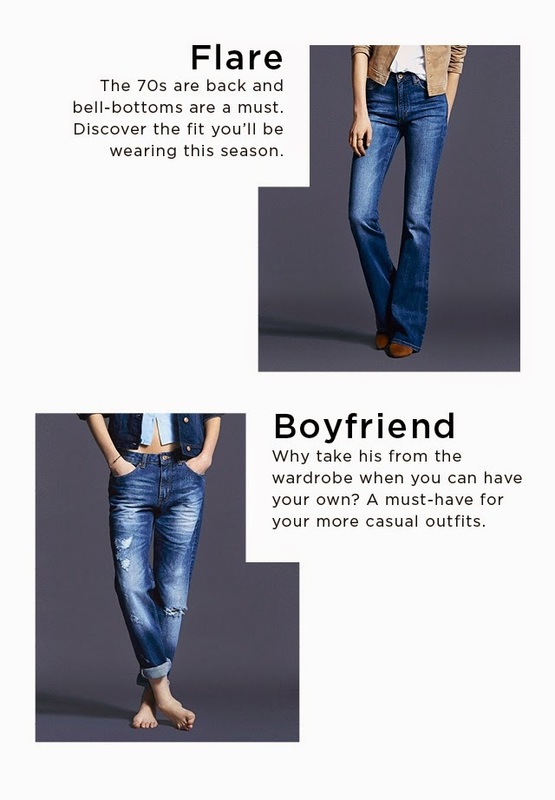 Before digging into the denim search program, take a look at this denim fit guide! Some of the popular denim trends apart from Denim trousers!